According to Wikipedia: “Julian Paul Assange is an Australian computer programmer, journalist and the founder and director of WikiLeaks. He is currently in police custody in London, England after having been arrested on 11 April 2019 by the Metropolitan Police Service for breaching his bail conditions in December 2010. Immediately before his arrest, he had been under the protection of Ecuador as an asylum seeker, and had been living in the Ecuadorian Embassy in London since 2012. Assange founded WikiLeaks in 2006, and came to international attention in 2010 when WikiLeaks published a series of leaks provided by Chelsea Manning (then known as Bradley Manning). These leaks included the Collateral Murder video (April 2010), the Afghanistan war logs (July 2010), the Iraq war logs (October 2010), and CableGate (November 2010). Following the 2010 leaks, the federal government of the United States launched a criminal investigation into WikiLeaks and asked allied nations for assistance”. In another Wikipedia article it relates another activity where Assange has played a key role, and where the reverberations are still being felt: “Vault 7 is a series of documents that WikiLeaks began to publish on 7 March 2017, that detail activities and capabilities of the United States Central Intelligence Agency to perform electronic surveillance and cyber warfare” While the findings of the Wikileak investigations are something mainstream media tended to dismiss as conspiracy theory, it is an evidence based indictment of American citizens being illegally spied upon by intelligence gathering agencies in cahoots with who knows who, and their findings were then used to weaponize high level players in their attacks on certain groups. Regarding criminality and character, I reserve judgment, because I don’t know all the facts. There are those, likely many, who sing his praises, besides two prominent leftie Labourites and a number of celebrities, notably Alex Jones, although given Jones’ reputation as a conspiracy theorist, that won’t count much in many circles. 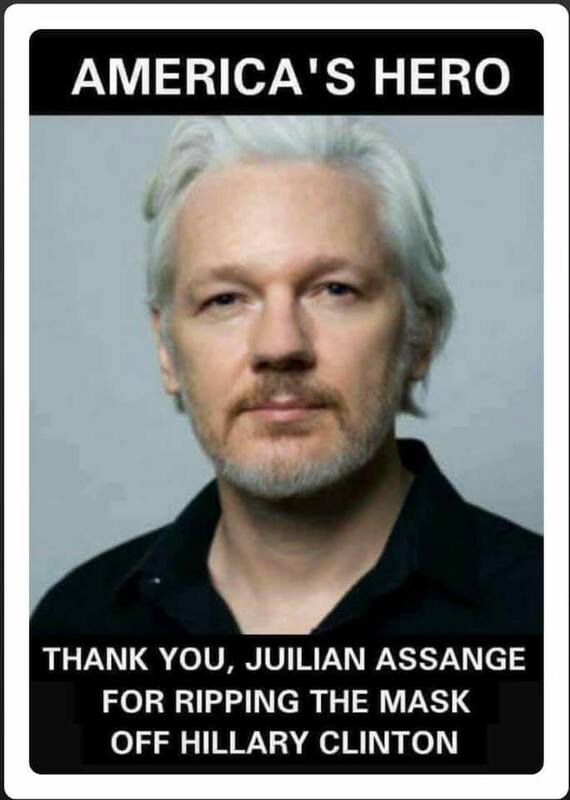 I am mindful that the one person who might have cause to thank Assange is President Trump (reference the meme above), but as one friend rightly remarked “Trump seems to have forgotten about him”. Just prior to this story breaking, I was listening to US Attorney General Barr being cross examined by Congress. He was asked if the Trump campaign had been spied on and he answered – yes. This has enormous consequences and the fact there was a swift, strong reaction against Barr by anti Trumpers suggests there will be fireworks to come. My point is that Assange, through his revelations, has done much to expose the shenanigans of the Deep State and evil in high places. I fully expect we will soon get to the bottom of what has happened and it will be explosive, exposing many wrong doers in high places, and in part thanks to Assange. As with all of us, the final verdict as to whether someone is a hero or villain will rest with history and ultimately with the Almighty. I have little doubt Assange has serious character flaws and may well have committed crimes (although as with any whistleblower we have to weigh what is more important – exposing wrong or betraying secrets) but I can’t help feeling he had a tough time and it doesn’t bode well for him in the future. But maybe he is more hero who deserves a medal and we owe him a huge debt of gratitude. 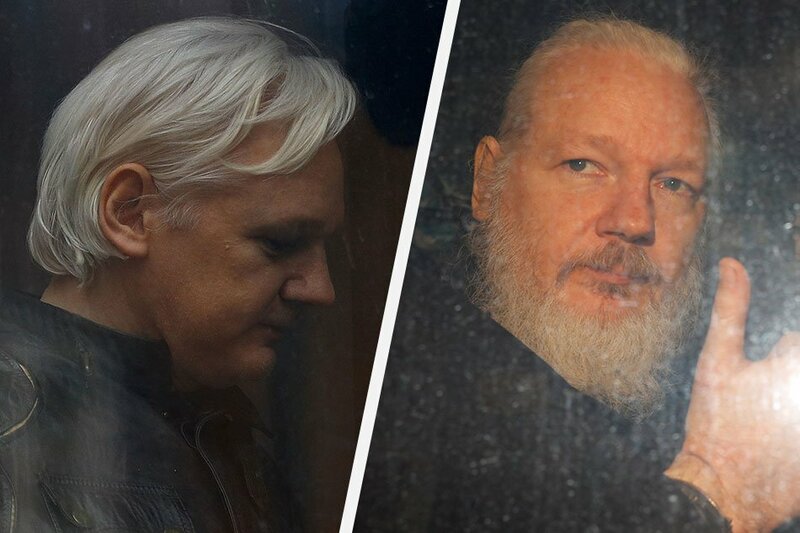 Update 13/04/19: Alex Jones is not popular in many respectable circles but his piece on Julian Assange (see here) is spot on, as he gives his take on what has been happening with Julian Assange and links this to what is happening right now in trying to take down the Deep State, developments around the censoring of the Internet in order to control the masses, including the use of artificial intelligence, by the likes of Facebook, the raging news propaganda war evidenced by abject failure to address Assange’s findings and the twisted nature of not just the Daily Mail (Fail) but much of the mainstream media (left and right). All this I find disturbing but I live in hope the truth will come out and Assange will be protected. Regarding the above meme, the response by one friend seems pertinent: “I suspect that this is actually perfect timing! Bringing him to the States at the very moment when the Deep State is being thoroughly exposed!” It is “the best of times. the worst of times“! PS Further to writing this a friend, whose political outlook differs somewhat from my own, posted on his Facebook page a link to an article: “JOHN PILGER: Assange Arrest a Warning from History” It is a brilliant piece and a worrying reflection on something taking place in front of our very noses. It tells me I am on the right track and the story of Julian Asange and it multitudinous implications and how it will all pan out has still a long way to go.